According to historians, April 23 marks Shakespeare’s birthday and death day — and this year marks the 400th anniversary of both. To celebrate the poet and playwright, the City of Victoria put on Waking the Bard, hosted by Victoria’s poet laureate Yvonne Blomer as part of National Poetry Month. 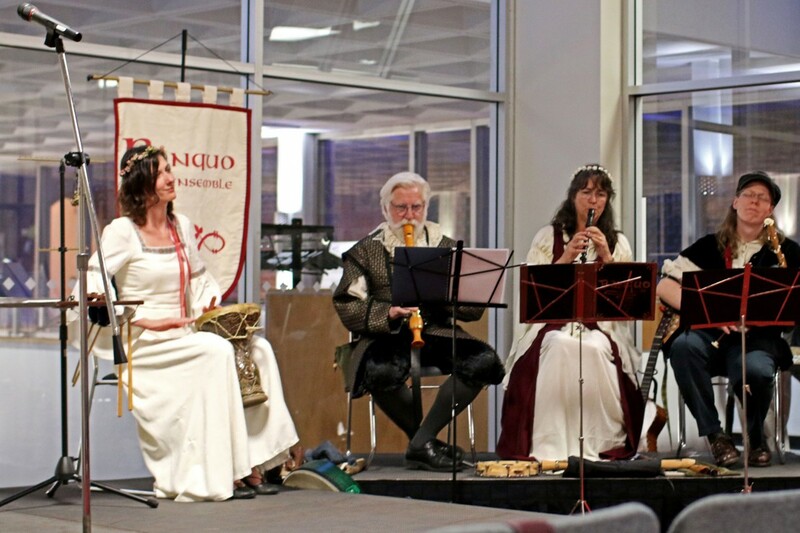 Attendees were treated to Elizabethan music from the Banquo Music Ensemble, who played wooden bassoons and mandolins (while wearing Shakespeare-style frilly white collars), and Shakespeare-themed refreshments like ‘A Midsummer’s Night Dream’ tea, courtesy of David’s Tea. The night highlighted the ways in which the Middle English author’s universal themes can carry into the present and beyond. While most high school students groan at the thought of deconstructing Shakespeare’s work, local poets and actors wowed the audience by bringing him back into today’s art scene. Blomer says that she’s always been a lover of Shakespeare’s work, though more for his plays than his sonnets. “Reading the sonnets and trying to think how to respond, that was really hard, and there were so many love sonnets,” said Bloomer. “But I don’t think I was in the mood to write a love sonnet.” Instead, she wrote a poem in response to Shakespeare’s “Sonnet 71” with an environmental slant, inspired by A tale of two foxes, a photo by Don Gutoski on display at the Royal B.C. Museum. “The hand that writ, the hand that wrought this loss / of green now paved of slow, warming decay,” she recited from her poem. 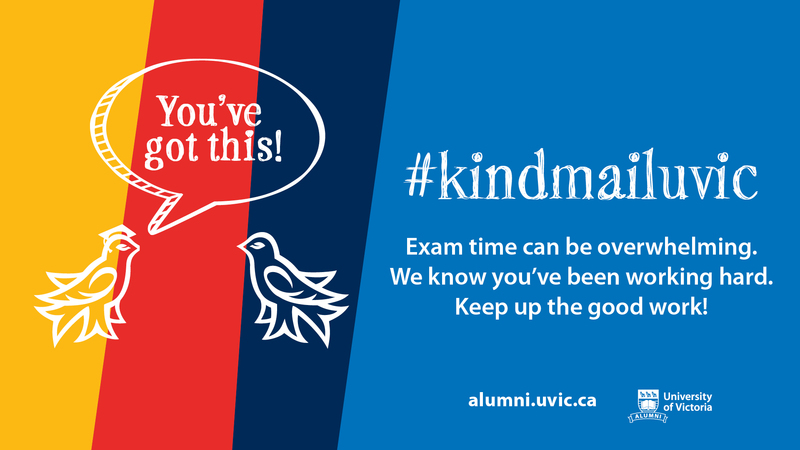 Throughout the night, Ann-Bernice Thomas, Youth Poet Laureate and UVic Creative Writing student, and fellow local poets, including Iain Higgins, Sonnet L’Abbe, Anita Lahey, and Troy Sebastian, presented poems that put a fresh spin on the old-school sonnets. While some wrote direct responses, others mixed their words with Shakespeare’s and translated words even farther back into Old English. L’Abbe (who pointed out her first name was a happy coincidence), presented three works from her doctorate project by using all of the 154 sonnets and creating new works around the words. If Shakespeare wrote “the,” she would add “mo” in front and “r” to make “mother” in her own poem, a style called erasure poetry. The Greater Victoria Public Library also had a table set up at the event with a display of Shakespeare’s original works, and some inspired by him, for the audience to borrow. 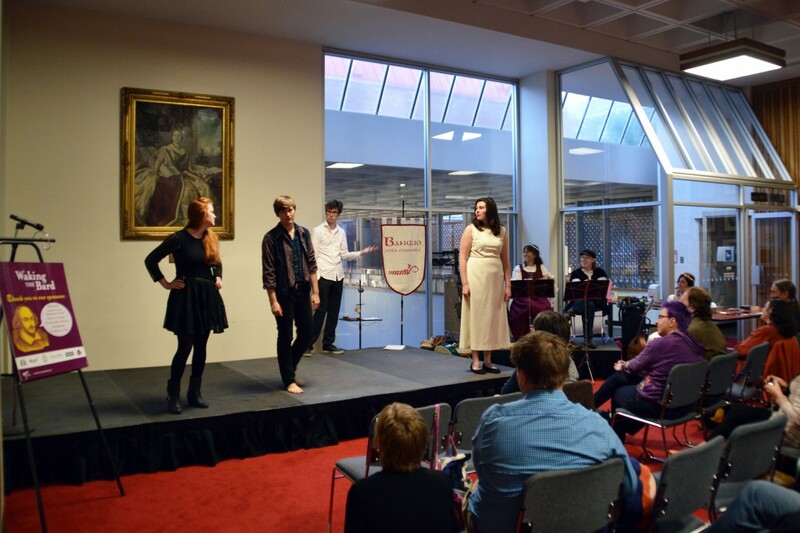 Fine Arts students from UVic (pictured above) performed an original play called The Bard Raving Mad Players, directed by Karin Saari, that harkened back to traditional Shakespearean characters like Hamlet and Lady Macbeth. While the roles stayed true to the original characterization, Duncan Alexander accentuated Hamlet as the angst-ridden teen act by pulling out his cellphone and rolling his eyes multiple times. Thomas admits that she wasn’t the biggest fan of Shakespeare in school, but feels he still has a place in today’s art world. So, no matter how many high school English students protest, it looks like Shakespeare is still managing to claw his way from the grave even 400 years later. So enjoy your summer’s day, because Shakespeare will be around for a while to compare thee to. Fashion Streeters: What does your style mean to you?